A light-hearted, fun and easy-got my kind of movie. 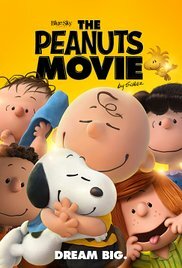 A very entertaining piece of fun, this movie tells what feels like multiple short stories of different events in the life of Charlie Brown. 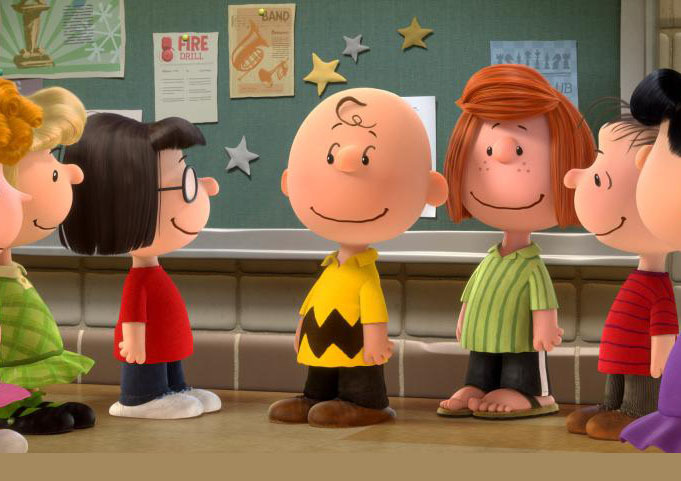 They are all related to the same theme of trying to win over the new girl, who he has a crush on, but through this theme, Charlie Brown finds himself in all kinds of very different situations. And each of them turns out to be humorous in its own way. The movie works because of these stories, because of the lovable characters and their relationships, and because of the physical humor, which often involves Snoopy and Woodstock. Together, all of these elements are woven into each other to form a complete package, and the combination really works! The Peanuts Movie is a good deal of fun. It’s the film about Charlie Brian and his friends that chronicles a bunch of situations and life experiences they have to deal with during the course of a school year. The one single event that ties everything together is that there’s a new girl at the school who Charlie Brown has a crush on and keeps trying to win over. But other than that one commonality among the stories, each event plays out like an it’s own different chapter in a book. And this happens to be a very good thing, because it makes the movie feel like a series of short films or short stories. There’s the story of the talent show, where Charlie Brown has to save his younger sister, Sally, from embarrassment. There’s the story of the test score where Charlie Brown accidentally fools everyone into thinking he’s a genius. There’s the story of the book report, and the story of Charlie Brown learning how to dance and taking lessons with Snoopy. Each of these stories is nice and quick and filled with good humor. At the start of the film, it’s the first snow day of the year, and all the kids are waking up, hearing the news, and celebrating. We spend the morning and day outside with the kids, getting to know each and every one of them just a little bit. For example, we watch Lucy waking up Linus by stealing his blanket, informing us that they are brother and sister. When Charlie Brown has a kite mishap on the ice, causing all kinds of problems for the other kids, we get confirmation that Linus and Lucy are brother and sister. We also learn that Sally has a crush on Linus. This is just scratching the surface on the relationships and dynamics between characters in the movie. Lucy has a crush on Schroeder, the piano player. Peppermint Paddy has a crush on Charlie Brown, and there’s even a little girl who has a crush on Pig Pen despite the cloud of dirt that follows him around, everywhere he goes. And then there are the names that everyone has for each other. Peppermint Paddy is best friends with Marcy, the glasses-wearing smartie of the bunch. Marcie calls Peppermint Paddy “Sir,” and she calls “Charlie Brown “Charles.” And Peppermint Paddy, who is a tomboy, calls Charlie Brown “Chuck.” All of this might seem like nothing, but it actually adds a whole lot to the characters. Just think about the difference between the two names each girl has for Charlie Brown and what those names say about the girls. And Lucy has a different name all together for Charlie Brown… Blockhead. When Charlie Brown first learns of the red head girl, its in a classroom, with her sitting up front and him sitting all the way in the back. He can only make out the back of her head, but even still, he’s infatuated. He goes to see Lucy, who runs a therapy booth where she gives advice for a nickel. She tells Charlie Brown he needs to impress the red head fork by does no something amazing. And so begins his quest to be amazing at something. First it’s the talent show, then it’s the dance. With the talent show, Charlie Brown is getting ready backstage for his big magic act when he sees his sister, Sally, get massacred by the crowd while performing. They hate her cowgirl act. So Charlie Brown sacrifices his own act to jump into a cow suit, let Sally chase him around the stage, and save the day. With rhe dance, Charlie Brown trains with Snoopy in a fun little montage. But then on the day of the big dance, everything goes wrong. First there’s the batch of cupcakes Charlie Brown has made for everyone. Snoopy eats them all up. And you have to love Charlie Brown’s reaction. Instead of getting mad, he simply says “good grief.” It’s on par with someone rolling their eyes and saying “good lord,” today. And then in the auditorium, Charlie Brown looks like he’s nailing it with his dance, but then loses control, causes a mishap, and the sprinkler system ends up going off. The time when Charlie Brown actually does do something amazing that propels him to fame and superstardom among his peers, the red head girl is out of town. This is when Charlie Brown and the other kids take a standardized test and the results are posted. Charlie Brown gets the highest score in the class, the only one to score 100. Suddenly everyone is obsessed with him. Sally gives tours around their house showing people where Charlie Brown grew up. All this makes for a fantastic music-filled montage (just like the one of Charlie Brown learning to dance.) And there’s a great conclusion to this story where we find out the truth behind the standardized test results. The stories continue. The next one has Charlie Brown searching for the greatest book of all time, (War and Peace by Leo Tolstoy, which the kids hear as Leo’s Toy Store by Warren Peace.) And while all these stories are taking place with Charlie Brown, we alternate chapters of his life with short stories about Snoopy as a fighter pilot in a dogfight with The Red Baron. This material is strictly physical comedy with the Red Baron simply being a red plane and Snoopy using his dog house as his plane. It’s great fun as these stories are pure action, crashing, and humor. Especially since both Snoopy and his little bird friend, Woodstock, don’t speak, but simply make noises. Consider them equivalent to versions of the squirrel in the Ice Age movies, always chasing after the acorn and finding himself in constant physical danger. The Peanuts Movie is fantastic silliness and fun, simply because of how it works on so many different levels. It is very simple on the surface, with each story being short and to the point. But if you look deeper and start analyzing the characters and the names and relationships they have for each other, and things like that, there’s actually a lot here. There are theee levels at play here. Charlie Browns stories are the middle level, the deeper character relationships are the higher level, and the Snoopy story is the most basic level. All of them gel together perfectly to make a cohesive film with plenty of overlap, (so the Red Baron’s plane, for example, is a remote control plane that gets loose in Charlie Brown’s story and then becomes the fighter pilot villain in Snoopy’s story.) This all amounts to a lot of fun.